When I was invited to write a guest post on Manipuri food for itiriti, I wondered and wandered in my thoughts for long about a suitable topic that would have something to do with food. The only thing I was certain about was that it would not be a recipe for the simple reason that I myself never follow any recipe while preparing even the simplest item. But somehow we always seem to be assaulted by food. More so, in the world of the virtual where the displaced diasporic communities always seem to be hunting for the taste of home. Anything near to that is relished – in thought if not in taste, consumed by the eyes if not by the mouth. Come winter, and the latest pictures of the winter seasonal vegetables, made their photographic presence in the community portals. Inevitably, these are accompanied by groans and slurps. Making use of one of my favourite timepasses (hunting out of English names of herbs and vegetables that formed a part of the Manipuri cuisine), I decided that it would only be befitting to introduce the readers of itiriti to the favourite winter vegetable that holds pride of place in the Manipuri cuisine. This is the yongchak. The English name for this vegetable is tree beans, but it has been infamously nicknamed stinky beans. It is one vegetable that has been drawn out as a caricature as well – there actually seems to be an internet game modelled on it! Certainly, its fame spreads far and wide. The Wiki page entry on this item lists several names by which – petai in Thai, sutaw in Indonesia, …. A blogger called it one of god’s strange creation – you either love it or hate it. 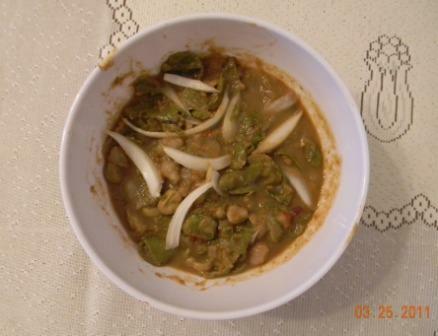 http://www.thefoodrenegade.com/2011/02/sambal-petai-chilli-smelly-beans.html . Another one humourously recommends it as the most appropriate food to be consumed (next only to garlic) for keeping away an undesirable date. It appears to be widely consumed in Southeast Asia and is often to be found in Thai restaurants as part of its ‘secret recipe’ . Known by various names (petai, sutaw, etc), the Southeast Asian palate distinguishes two varieties of the tree beans. It is the glossy green seeds that are consumed. For the Manipuri palate, love for yongchak is trully blind! We make no such distinctions and we try to make the best use of every part of the vegetable. The manipuri cuisine offers recipes starting from the flowers and the tender beans to the dried mature beans. The mature seeds of the vegetable is nicknamed ‘bomb’. The two most reknowned dishes made from the vegetable is yongchak singju and yongchak iromba. These two are only the more reknowned ones. There is an array of possible ways of consuming it. Despite my reluctance to write a recipe, I figure it is better to give an insight into how the vegetable is consumed as a part of the Manipuri diet. 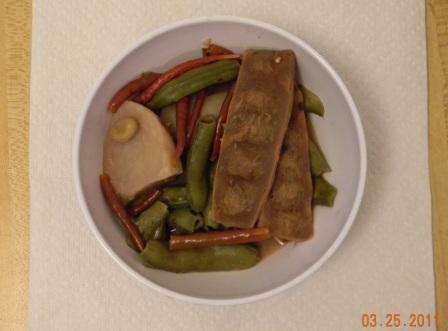 Yongchak Iromba: Iromba is a dish made of boiled vegetables mashed together in a sauce of chilly paste and ngari (fermented fish). It is then served with a combination of herbs as garnish – onion, spring onion, chameleon leaves, coriander, vietnamese coriander, etc. it can be prepared from various assortment of vegetables. The iromba of yongchak can very simply be made with yongchak and potato. It can also be made with the other seasonal vegetables as assortment. The best garnish for the yongchak iromba is with a herb locally known as lomba (scientific name, esholtzia blanda). For those interested in the recipe, here is the link http://chakhum.e-pao.org/ . 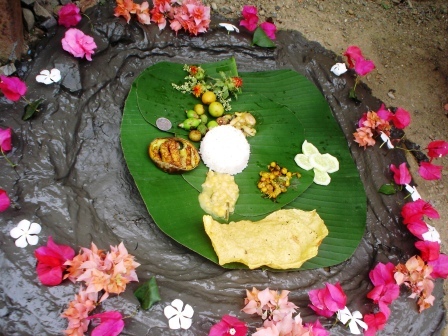 The recipe is obviously written for people familiar with the Meitei cuisines. Just to add my own note to those unfamiliar with our cuisine, the thin skin of the whole bean is scrapped out. The Meiteis have a special instrument for it that looks pretty much like a tongue-cleaner, but a scrapper can well substitute for it, I guess (or may be try out with a tongue-cleaner :D). Post boiling, the bean would still have another film of skin. Remove this skin also and you would find the pulp and the seed – both of these would be used for the dish. Yongchak Shingju: Shingju is again a preparation made with the same base – a thick sauce made from red chillies and ngari (fermented fish). Here, the vegetables are added mostly in raw form. A shingju is the equivalent of a spicy salad in the Manipuri cuisine. For the yongchak shingju preparation, it is the tender ones that are often used while for the iromba, it is the more mature ones that are prefered, although there is no restriction as such. The only link of shingju I was able to find was http://www.gomanipur.com/your-story/item/206-yongchak-singju . For those unfamiliar with Manipuri cuisine, once again let me add a few lines of my own. Scrap off the thin green skin from the yongchak. Then remove the thick sides of the beans. Now, shred the beans into thin pieces. Personally my preference for the base sauce is to roast the red chillies and the ngari. Then mash them with salt properly. Avoid putting more than a little water – the less watery the sauce, the better the dish. Toss the shredded beans with the sauce and mix it up properly. Add garnish of spring onion, lomba leaves/flowers. My mom adds her own touch to it. Along with the herbs, she garnishes it with slightly crushed roasted shrimps. 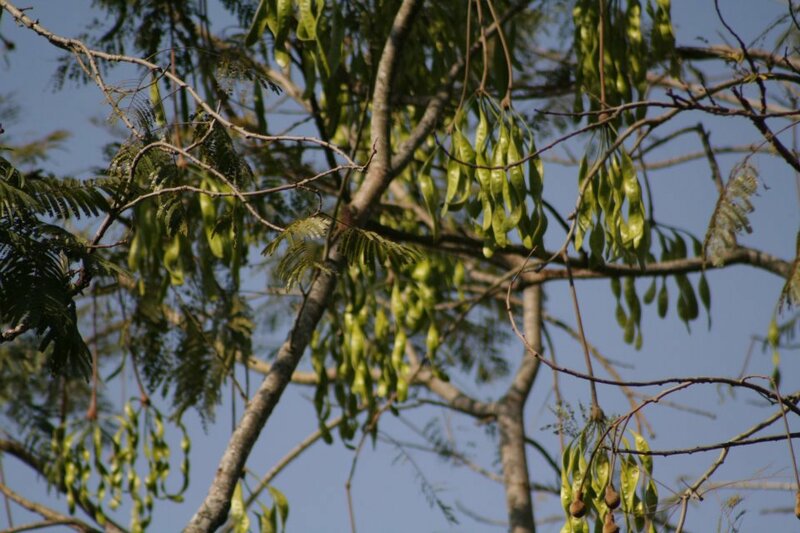 As winter closes in, the yongchak season also gets over. By the time of Cheiraoba feast in March/April, the ‘bombs’ makes their appearance drapped in ‘overcoats’. The Manipuris have a simple way of preserving their favourite winter vegetable. They select the mature beans and simply hang it up to let it dry. The deep green beans are allowed to turn black. Either they continue to hang like so or they may be taken down to be de-seeded. The seeds are then stored. As and when they are needed, they are taken out and soaked to be used for cooking. The seeds are black on the outside but it is the inner kernel of deep green that is eaten. It is this black covering that is nicknamed ‘overcoat’. Keep reading more stories about yongchak www.ingallei.wordpress.com.